She’s a manufacturing engineer in a factory by day, but in her free time, Shara has other side projects. She started remodeling her home and building furniture with her dad for fun just a few years ago. 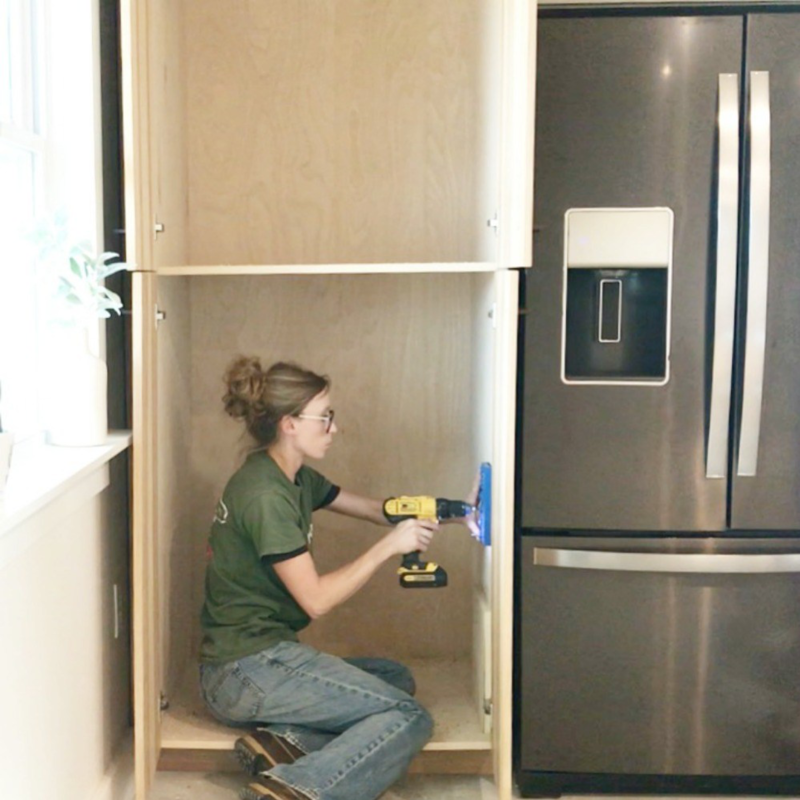 “Highly determined” DIYer Shara blogs about her experience at Woodshop Diaries, and her latest kitchen project was a huge success. We sat down to talk with her about the details of her gorgeous kitchen project and her approach to design. The kitchen is part of Shara’s latest building project: her new home. The new home’s floor plan was to be open and airy, with one area flowing easily into the next. That meant, however, that the kitchen is visible from every corner of the home. “I wanted to make sure my kitchen was a showstopper,” explains Shara. Shara hadn’t fully defined what her design inspirations were in her old home. To avoid the same kind of cluttered style in her new space, Shara’s home features a very clean, minimalist design throughout. She keeps up with several designers on Instagram, and the vast majority are those with a Scandinavian or mid-century style. Because Shara was building a lot of the furniture and cabinet work herself, she needed materials that would make the job efficient. 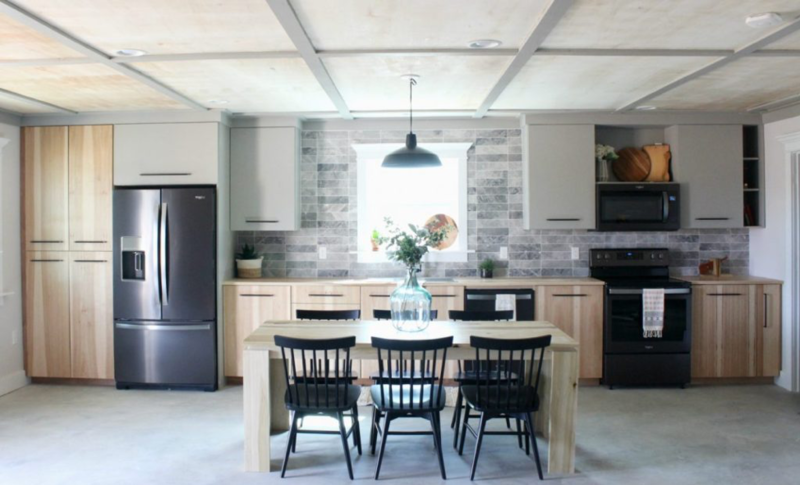 “I was able to make literally all of my cabinets from only PureBond plywood,” she explains. Because she used PureBond, Shara didn’t have to mill, plane or join any hardwood. Above all, Shara needed a nice, clean design for the space, especially since you’re able to see the kitchen from anywhere in the home. “I didn’t want to make the room feel overwhelming since it’s a small space. But I also didn’t want it to be too plain,” she explains. 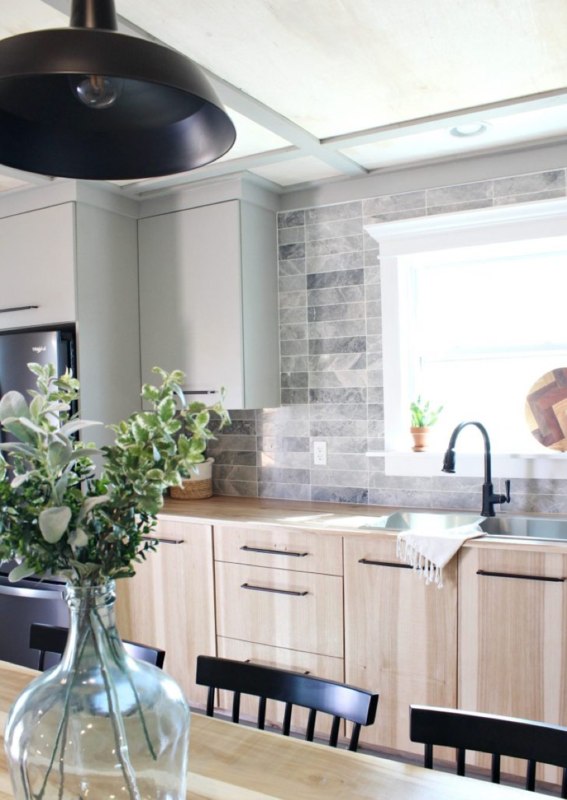 The hickory-faced plywood, combined with the grey upper cabinets, offers the kitchen space an impactful and dynamic design. Shara confesses that she doesn’t consider herself a designer. 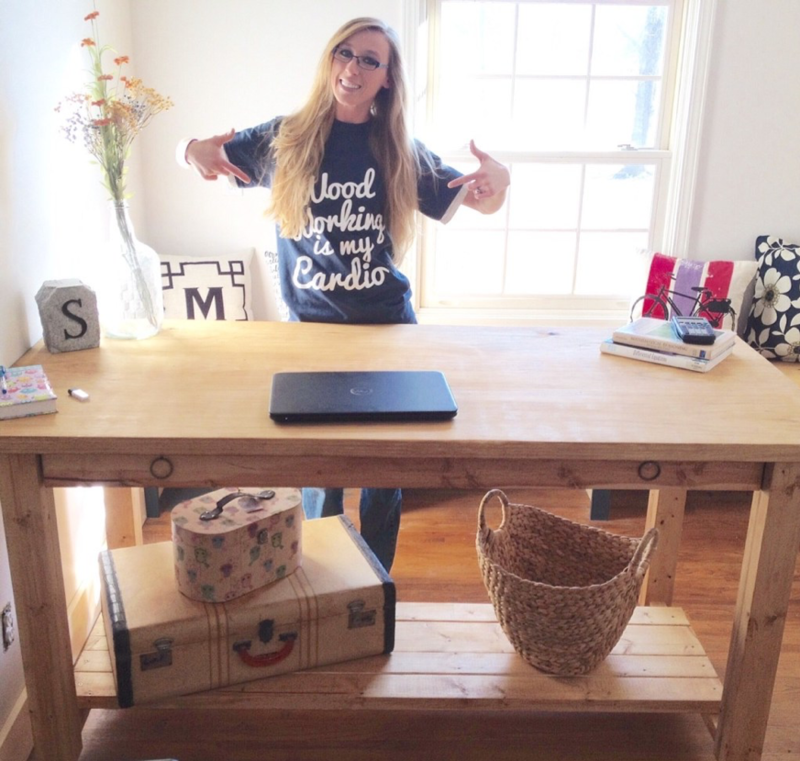 Shara loves the process of building and posts regular furniture building tutorials on her website. Woodshop Diaries started after she started building furniture and doing remodeling projects with her father. Her favorite projects are the ones with built-ins, and she considers cabinets an obsession. 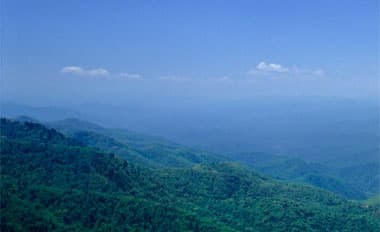 Shara emphasizes that the key to a project’s success is having a clear plan and sticking with it. 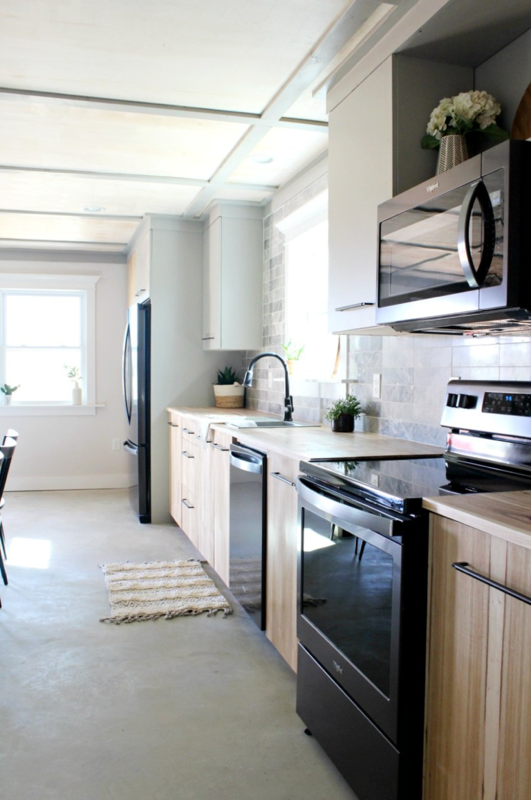 You can read about the entire kitchen project on Shara’s site, or you can check out her other project updates and tutorials. For more information on PureBond Plywood, you can click here.